Official GBULLION Blog: Internet Client Version 2.1 is now ready! Internet Client Version 2.1 is now ready! We are glad to announce that we have just launched our updated internet-client. Some users can already familiarize themselves with it via their account. Others will gain access in the next few days. The most important innovation is the new design and language support in 5 languages (English, German, French, Russian and Italian). Some versions have not been fully translated yet, but for the most part the new internet-client is now available in your language. In the process of this upgrade, more than 200 suggestions from Users and Independent Consultants have been taken into consideration. This has resulted in an easy to use, yet highly efficient internet client. You can leave feedback or submit requests regarding improvement of the internet-client by using the Contact Us Form (https://www.gbullion.com/eng/contact_us/). 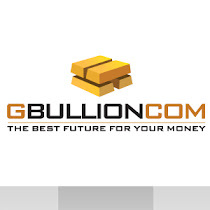 In the near future we are planning to add new means of topping up your account in GBULLION. Keep up with the news!